I read five books in March, and I don’t think that’s too bad since one of them was 850 pages and I was also busy almost every weekend. But, I did kind of completely ignore my TBR. But although I only read one (yikes) of the books I’d set out in my TBR, I’m glad I diverged slightly because I didn’t rate anything lower than 4 stars this month. And, I finally read my first 5 star book of 2019. You can probably guess what it is. The Priory of the Orange Tree // 5 stars // I still haven’t reviews this book because I just don’t know how to do it justice. It’s phenomenal and without doubt one of the best books I’ve ever read. The writing is sublime, the characters are full developed, the world-building is stunning and women are the focus of this book.11/10, would devour again. Oh, and this was my first 5 star read of 2019. 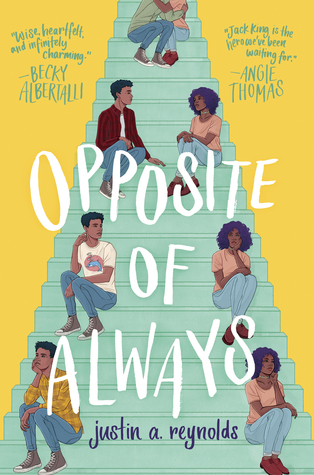 Opposite of Always // 4 stars // This is your average YA contemporary until Jack King finds himself in a time loop, trying to save the girl he’s falling in love with. But once that gets going, things really take off. If you like squads like Simon and his friends in Simon Vs, or the gang in What If It’s Us, then you’ll like this. I felt like there were a few things that were never explained, and the dialogue came across as cliched at times, but on the whole this was a really fun book. 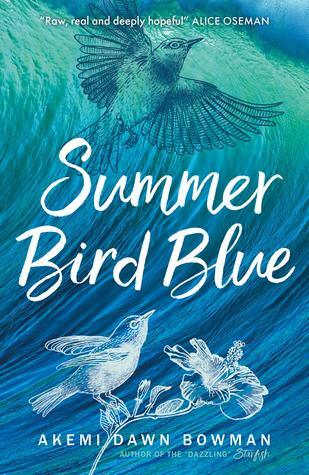 Summer Bird Blue // 4.5 stars // I very rarely cry at books, but this book made me cry ON THE TRAIN TO WORK. It was that raw, that emotional, that powerful. Akemi smashes it out the ballpark once again with another beautifully written story, this time about grief and loss. Her writing is so powerful and has the ability to ignite so many emotions while reading. 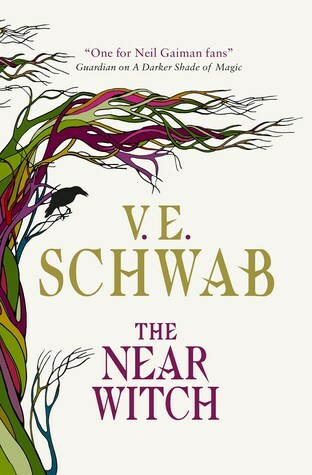 The Near Witch // 4 stars // It will come as a surprise to absolutely no-one that I loved this book. The atmosphere, the slower pace, and the gradual buildup of mystery and tension all worked harmoniously. I liked Lexi’s determination, and I would die for Cole, quite honestly. The world-building was simple but effective and I really enjoyed the descriptions of elemental magic. The plot became a touch repetitive towards the 3/4 mark, but the final few chapters were dark, dramatic and excellent. I think if I had read this when it was first published, I would have had an inkling that V was going to go on to do big things. It has a spark of something special. 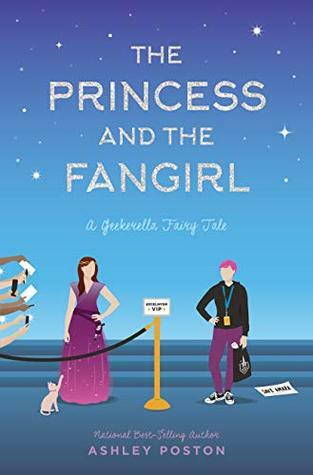 The Princess and the Fangirl // 4.5 stars // I love conventions and have been going to them since I was about 16, so this book was just my kind of thing. I adored the drama, the new friendships, and blossoming f/f romance. The discussions of toxicity in fandom was written into the story smoothly, and the author balances this with the positives of how conventions can bring people together. The only thing that made me drop half a star was that I thought the ending involved a lot of things just happening to go right for Jess and Mo, which was a touch unbelievable. Other than that, it was fab. I posted the final four parts in my LGBT+ blog series this month, and I’ve had such a blast doing this. Huge thanks to everyone who was involved in this series and created a guest post for me, you’re all amazing and deserve hugs and cookies. You can read the full series from the beginning here. I also posted my 2019 reading and blogging goals and explained why they’re slightly belated. March was a pretty big month for me in terms of life events. I met V. E. Schwab for the third time and it was a dream. She recognised me from Twitter, which literally made my year, and was really happy to sign all 11 of my books (a true saint, we don’t deserve her). I’d also taken her a couple of small presents (yes, I’m a nerd) and she loved them. It was honestly the perfect evening and I left so uplifted. I went to NYA Lit Fest and met up with some wonderful friends. My favourite panel of the day was definitely the feminism and fantasy panel and afterwards I got my arc of Priory and my hardback of The Bone Season signed by Samantha Shannon. It was a pretty spectacular day (torrential rain included). I moved from a contractor to a permanent member of staff at my work. I’ve been a contractor for about 18 months, but there was finally an opening for a permanent position, which I took. This doesn’t mean I’m giving up on my aspirations of going into publishing, but I’m going to take some time to think about what I want to do in the next few years. I really like this job (I’m an editor and publisher for a scientific company), and it means I can save for the future while doing something I enjoy. Plus, I could potentially focus on my other dream of writing a novel (*laughs nervously*), which I’ve been putting off for years. Sadly, I broke up with my boyfriend in March. We’d been long-distance for a while and things just weren’t working the way they used to. I won’t go into detail, but I’m OK. I might write a more personal post about long-distance once in the future, but I’m glad March was busy, as it meant I had lots of things to look forward to. Hanging out with friends at different events really cheered me up. On a more fun note, I FINALLY started having DRIVING LESSONS. I’ve been looking for an instructor for a while, and I finally found one who could do Saturdays. I saw Captain Marvel and LOVED it. As far as films go, I’d say it was pretty close to flawless. The plot, script, CG, and acting all came together seamlessly and I left the cinema with feeling empowered. Only one other film has ever given me that same feeling: Wonder Woman. Something just really strikes a chord with me about seeing women as superheroes (maybe I’ll write a post about this). Representation matters, y’all. I also signed up for a 10k run in June. I do a lot of outdoor running in my free time, but I’ve never actually competed in a race before, aside from park runs. So although I’m looking forward to it, I think I need to do a bit of hill training (the areas I run are mostly flat) beforehand. And finally, I watched The Empire Strikes Back for the first time ever. I’ve never seen the original trilogy before (much to my eternal shame), but I’m slowly making my way through them with my friend Jess. Leia is definitely my favourite character so far and I’m enjoying the misadventures she, Han, and Luke get up to. What did you get up to in March? Which books did you read? Sounds like a busy month! I really want to read a few of the books you got to this month, including priory, but I am super intimidated. Amazing book wrap-up, a lot of these are on my TBR 🙂 So glad you had a pretty awesome month, especially seeing V.E Schwab! But I am really sorry to hear about your breakup 😢 I hope you have an absolutely fantastic month in April! Also, good luck with your driving lessons! Great wrap-up! Looks like you have a good reading month! I’m sorry to read about your break-up, however it’s good that you were busy with amazing things like V.E. Schwab, the Lit Fest, and your leisure. I hope April is a bright month for you! It seems like you had a lovely reading month, yay! I feel the same way about Opposite of Always, I liked the book overall, but… I don’t know, it was missing something to be really a 5 stars read and it made me a little sad. I need to read Summer Bird Blue! Starfish is one of my all-time faves, and I desperately need to read absolutely everything she writes, haha. Sorry to hear about you and your boyfriend but I’m glad to hear you’re doing well! I saw Captain Marvel recently too and LOVED it. I’m a huge Marvel fan and I think this might actually be my favorite MCU movie. Congrats on getting a permanent position at work, too! That’s so exciting!! I applaud you tossing the TBR out the window, sometimes the heart wants what the heart wants! I’m looking forward to the Princess and the Fangirl when I finally get my hands on it! Wow you had a great reading month! I can’t wait to read Priory and The Princess and the Fangirl and The Near Witch are both books I’d like to check out. 😊 Congrats on the permanent position at work and good luck with your driving lessons! Thanks Jess! Both Priory and TPATF are excellent, but in very different ways. Hehe thank you, I had my third lesson yesterday and I feel like I’m making a lot of progress! The title of this post could literally be the title to my life!! Great post! Amazing wrap-up. Some downs this months, but it looks like there were a lot of ups too! Congrats on the permanent position. I can imagine it must be nice to have that stability to prepare for your own future plans. Also, great reads! TBR’s are to be bend haha. Aww, thank you so much! Yes, there were definitely a lot of great things that happened in March, and they really cheered me up. Haha yes, I often don’t stick to my TBR as closely as I’d like to but never mind, they can be flexible! Aww thank you so much, this is such a lovely comment ❤ Yeah, I always try to include a bit about my personal life in with my reading round up so that people can see what I’ve been up to if they’re interested. I always find it exciting if someone is watching the same tv show as me or has discovered the same music, so I like to include a bit of that side of things too 😊 Yeah, Opposite of Always ended up being much better than I expected. I have a full review coming soon but, apart from a slow start and some unanswered questions, I enjoyed it! 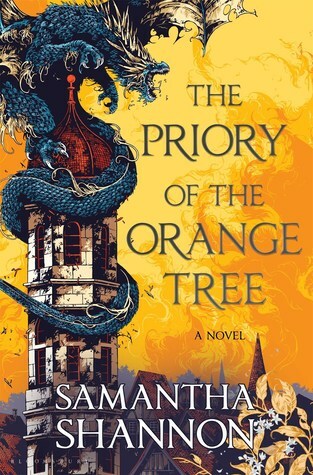 I have heard so many amazing things about The Priory of the Orange Tree! I seriously need to get my hands on that book soon. 😀 I’m sorry to hear about your break-up! ❤ Also, I'm happy to hear that your meeting with Victoria Schwab went well. She is one of my favourite authors and I hope that I'll get the chance to meet her in the future as well. Aww thanks my lovely, I’m OK now ❤ Ooh yeah, sometimes I get into a real mood-reading feeling and I just want to throw my TBR out, but for the most part I like to give myself a bit of structure so I don't flounder – especially since I often need to read ARCs for deadlines!